Blackjack card counting is all about knowing the composition of the deck to know if you have an edge against the casino. If you’re good at counting cards, then you can beat many live blackjack games in casinos around the world. 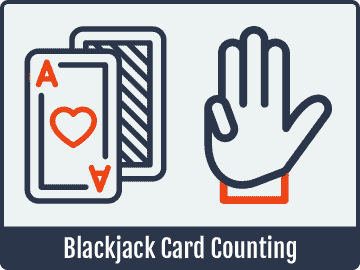 One of the aspects of blackjack that has made it big in popular culture is the ability to count cards. Funny enough, a ton of people know that you can count cards in this game, but only a small percentage of that actually know what counting cards means. 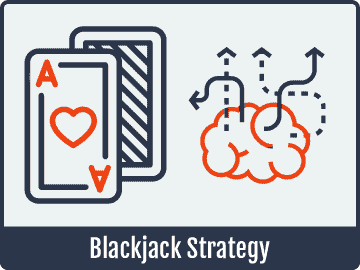 What we want to do for you here is break down this incredibly important part of blackjack strategy, how it works, why it works and how to apply it to your game. The key thing to understand about counting cards is that it’s all about the composition of the deck. What deck composition means is the actual cards that make up what’s left in the deck or the shoe. You might think that all decks and shoes are composed of the same sets of 52 cards, but this is actually not the case at all. After cards have been dealt, you know which cards have been removed from the shoe, and that means you know which ones, roughly speaking, are left remaining. That might seems like an unimportant piece of information. However, it’s actually critical because the composition of the deck is what ultimately determines the house advantage. 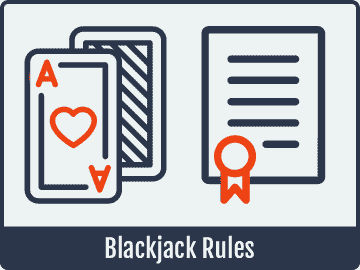 The house edge in most blackjack games is pretty small with correct basic strategy, but when the deck composition shifts in certain ways, the player actually has an advantage against the house. The idea behind card counting in blackjack is to identify when this is happening so that you can bet more to take advantage. When the deck composition has a lot of low cards left, the player is at a bigger disadvantage. You bet smaller when this is the case. If the deck is composed of a lot of high cards (ten-value cards and aces), the player gains an advantage. You bet larger amounts when this is the case. You can only count cards if the cards are not shuffled after every hand. This last point is a very important one, especially for online players or single-deck players in live casinos. In most online games, not counting live dealer tables, the shoe or deck is shuffled continuously after every single hand. Because of this, counting is not a viable strategy in those games. You need cards to be removed from the deck before you place your bet for card counting to be something that can actually influence the result of the game. The last thing to touch on before we get into learning an actual effective counting system is that you have to play these systems with a betting spread. The whole point of the approach is to bet less when the dealer is at an advantage so that you can bet more when you have an edge against the casino. The house will be the one with the edge the majority of the time, so you’ll need to wager several times your normal bet size when you have the advantage to overtake those losses and end up with a positive profit, on average, over time. A typical betting spread will wager one unit most of the time and four units whenever you have an advantage. You have to be careful about this in many casinos, however, because the staff will be on the lookout for counters. If you bet much more than that whenever you have a good count, then they’ll catch on to you pretty quick and will probably ask you to leave the casino. 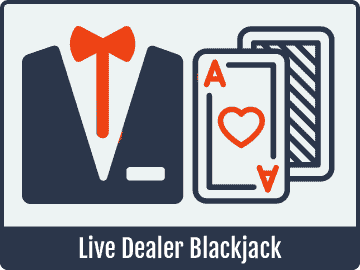 If you’re playing online, especially in live dealer games, then this isn’t an issue, but it’s something to be aware of in brick-and-mortar establishments. 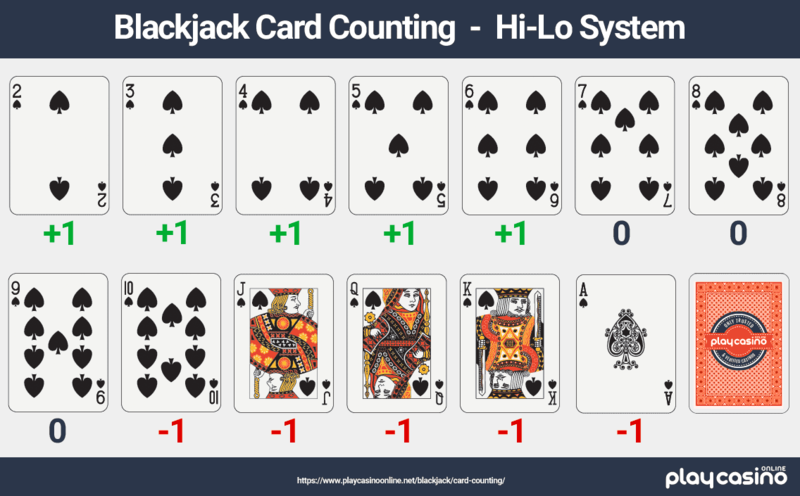 The Hi-Lo system is probably the most popular system for counting cards in blackjack in the entire world. It’s a fairly easy count to learn compared to other systems, and it has a pretty high level of accuracy in telling you when you have the advantage. The whole idea behind a system like this is to be able to estimate the composition of the deck in a way that simply tells you “yes or no” to whether or not you have an edge against the casino on the next hand. To this end, the Hi-Lo system does that extremely well with a fairly low learning curve as long as you put in some practice. Something that’s pretty neat about the way this system is set up is that, if you’ve studied basic blackjack strategy, then you know that the “weak cards” for the dealer are the 2, 3, 4, 5 and 6. Likewise, you’ll know that the “strong cards” for the dealer are the 10, J, Q, K and A. If you’re familiar with that naming convention, then you don’t actually have to learn new groups for this system of counting cards. Instead, you can simply use the two groupings of weak and strong cards that you already know. Whenever a fresh deck or shoe of cards is started, then you’ll begin your count at zero. When cards are dealt that you see, whether they belong to you, the dealer or another player at the table, then you add or subtract points as we noted above. So if you have a 10 and a 9 that are dealt to you, then that counts as subtracting one for the 10 and doing nothing for the 9. This is an ongoing count that you’ll want to keep up with until the deck is shuffled or a new shoe is put into play. Based on this count, you’ll be able to know whether or not you have an edge against the casino. With that having been said, we have to adjust for the number of cards left in the shoe or deck, and to this end, we have an idea called the true count. The true count is simply the running count divided by the number of decks remaining in the shoe. If you’re playing a six-deck game, and about half the shoe has been counted down, then you’ll divide by three. It’s a pretty simple idea, but it’s really important to do because a running count of 10 when there are two decks left to go means you have a sizable edge against the house, but a running count of 10 when there are six decks left to go means that you are still firmly behind. If you start betting more when the true count isn’t sufficiently high, then you’re going to run into problems. With this counting system, the player has an advantage with a true count of two or higher more than 99 percent of the time. When your true count is two or more, then you’ll want to bet on the upper end of your spread, whatever that spread happens to be, in order to take full advantage of the application of the counting system. We want to point out that you need to practice this to be able to do it well. You can’t just read the above and expect to sit down at a casino game and keep up with the count without seriously holding up the game or messing up your count repeatedly. Thankfully, it’s really easy to practice. All you need is a deck of cards and some time. Practice dealing through a full 52-card deck one card at a time. If you make no mistakes, then you’ll end up with a count of zero at the end once the deck is finished. Once you can do one card at a time pretty quickly, practice doing two cards at a time since this is what will make up the majority of your actual counting at the tables. Once you can count in this way as quickly as you can deal the cards, then you’re ready to take it to the casino. Being able to count cards in blackjack is a skill that’s very accessible to most players because all you need is a simple chart like the one above and a deck of cards to practice with. No fancing training programs or special tools are needed to make it work, and it can lead to a real advantage against the house in these games. 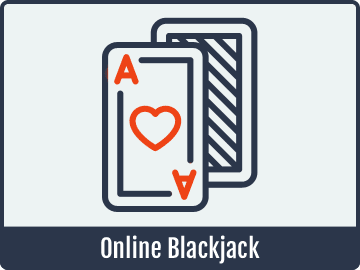 The only thing you need to make this work for you is practice and access to blackjack games where it can be effective.